Rachel Pally makes every woman's dream on fashion comes true. 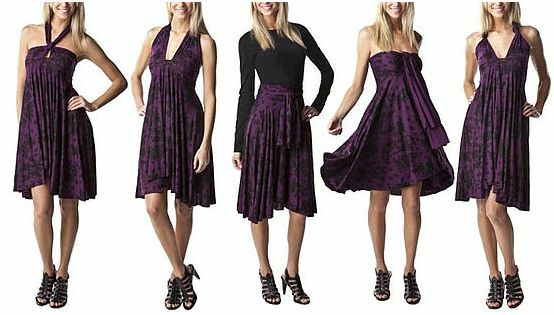 Can you imagine, you can buy one fabric for only $79.99 then you’ll get five fabulous styles of dresses? Rachel Pally designs exclusive plum floral frock that can be worn several ways. So, you can go to many occasions in one day without changing your clothes. Simply wear the dress as a skirt to your office, then change it into strapless or halter styles on the evening party. Wow, that’s so simple. One piece five ways from Rachel Pally really saves your money to get various kinds of clothes. If you’re interested you can look at the Amazon. Exclusive Dress by Rachel Pally.